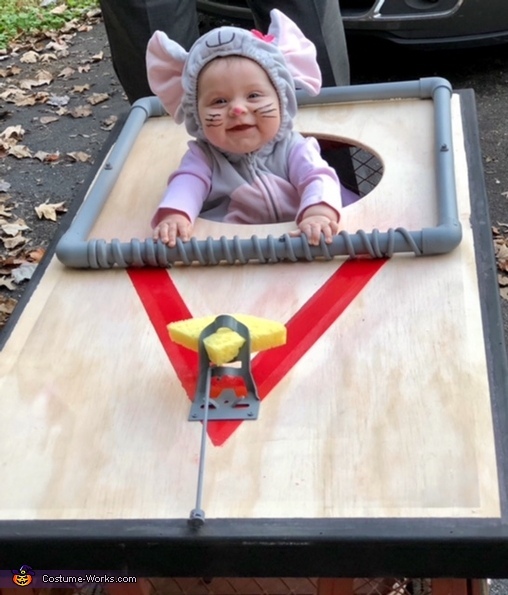 My Great Niece, Alexandra is wearing this costume and this was her very first Halloween. My brother made the mousetrap to fit on top of the wagon with bungee cords that we rode her around in. We used plywood, cut a hole and used PVC pipe and a flag holder with a yellow sponge to make the mousetrap. It worked perfectly and, as you can tell from the picture, she had a great time!